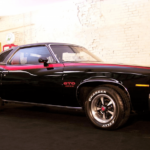 The origin of the GTO, the vehicle that became an icon for the muscle car set, is really a story of one man’s battle against the corporate establishment. That man, John Z. DeLorean, was, at the time, chief engineer of Pontiac. What he wanted was to build a normally mild-mannered mid-sized sedan powered by a big V-8. The GTO concept developed in early 1963 when DeLorean, along with members of his engineering staff, were experimenting with the Tempest, an economy Pontiac introduced the previous year. The cars four-cylinder engine was inherently rough-running and vibration prone. As a cure for the car’s power deficiency, it was suggested that, since the Tempest’s four cylinder shared the same engine mounts as the V8 it would be easy to install the big motor into the little car. A prototype was cobbled together using a Tempest Lemans coupe as a test bed. 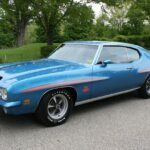 It contained a 389 cubic inch V8 borrowed from Pontiac’s full size Bonneville, as well as a four-barrel carburetor and heavy duty four-speed manual transmission. The resulting transplant not only made the car quick, but was also a blast to drive. As it turned out, a limited edition Ferrari was already using the GTO name. But, as the initials could not be copy-righted, it was no problem for Pontiac to adopt them for its newest creation. In the ’60s, it was GM policy that no specific model could have more than 10 pounds of total weight per cubic inch of displacement. 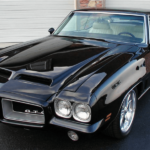 Since the GTO weighed about 3,500 pounds, it meant that the 389 motor was too large by nearly 40CI. DeLorean’s way around this rule was to make the GTO, a Lemans option, instead of a separate model. That somewhat loose interpretation of corporate edict allowed the beefed-up Pontiac to sneak by top management so long as nobody looked too carefully. Originally, the division’s skeptical sales department committed to just 5,000 GTO option packages for 1964. But as the word got out, dealer demand gobbled them all up within days of the official announcement. 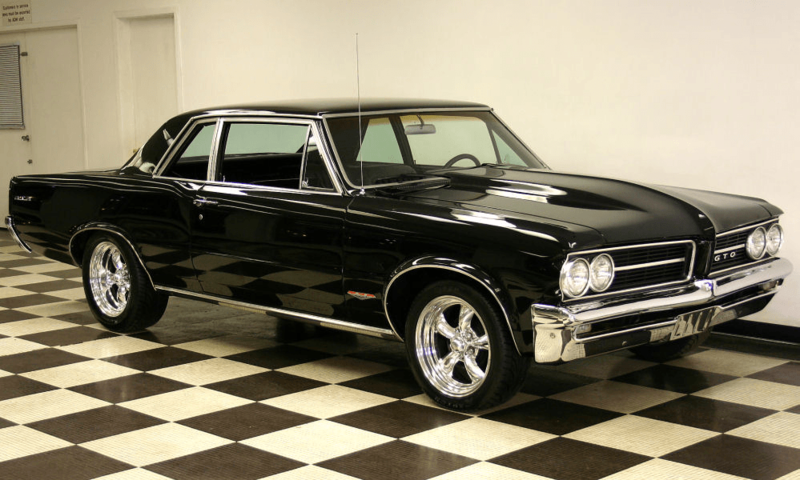 The ’64 GTO became a certified hit before it had even arrived at any Pontiac showrooms. 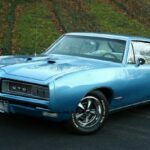 So sensitive were the GTO’s creators to breaking the engine size rule that initially no mention was made of the car in any of Pontiac’s sales literature. News of its existence was communicated in a few automobile enthusiast publications only. 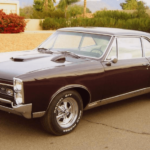 Every GTO optioned Tempest (base-priced at around $3,200) started with a 325-horsepower 389 V8, dual exhausts, floor mounted Hurst three-speed manual transmission, heavy-duty suspension, front bucket seats and chromed air cleaner, valve covers and oil-filter cap. Buyers could also add a more powerful 348 horsepower version featuring three two-barrel carbs, as well as options such as a Hurst four-speed or GM-built two-speed automatic, limited slip differential, extra heavy duty shocks, and a faster steering ratio. 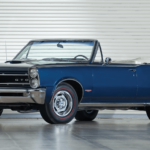 By years end, total sales of Tempest Lemans hardtops, coupes and convertibles equipped with the GTO option totaled a whopping 32, 450, a far cry from the original GM approved plan. 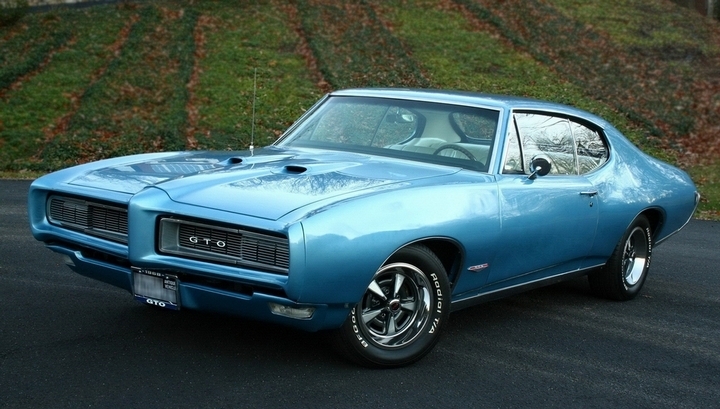 For 1965, the GTO (or Goat, as it was now beginning to be called.) remained and option, but now featured attractive new front and rear end styling, improvements to the engine and suspension and new rally-style wheels. That year total GTO sales exceeded 75,000. It wouldn’t be until 1966 and the arrival of the second-generation Tempest that the GTO would be marketed as a separate model. By then, other manufacturers were scrambling to create their own versions of the GTO in an attempt to cash in on Pontiac’s success. But, there was simply no substitute for the original. 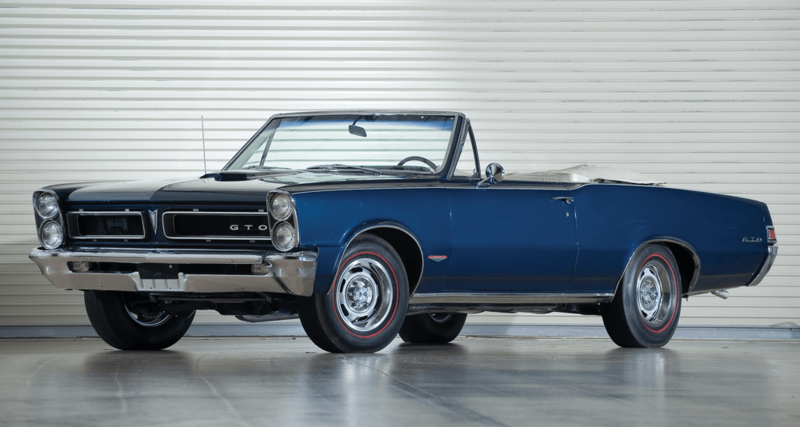 With a little planning, underhanded, inventiveness and a lot of luck, the GTO created the madness for muscle cars that captured the imagination of a generation of drivers. 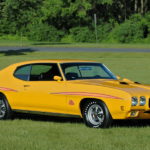 Although the Pontiac GTO’s existence was born of original thinking, its name was not. The GTO moniker was “borrowed” from Ferrari, which had a short production run (40) of sports racing cars of the same name starting in 1962. GTO in that case stood for “Gran Turismo Omologato” the english translation of which is “Grand Touring Homologated”, a fancy way of saying that it was approved for certain classes of international sports car racing. 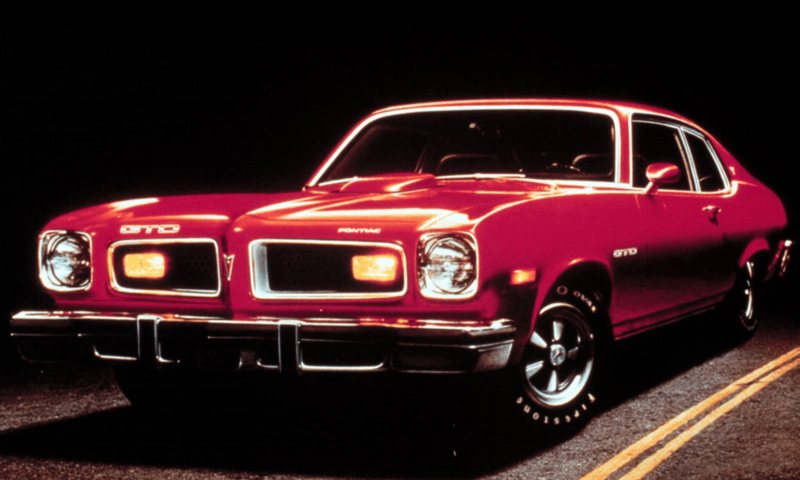 Controversy over the name theft continues today, with many insisting that the Pontiac owners deserved more original thinking. 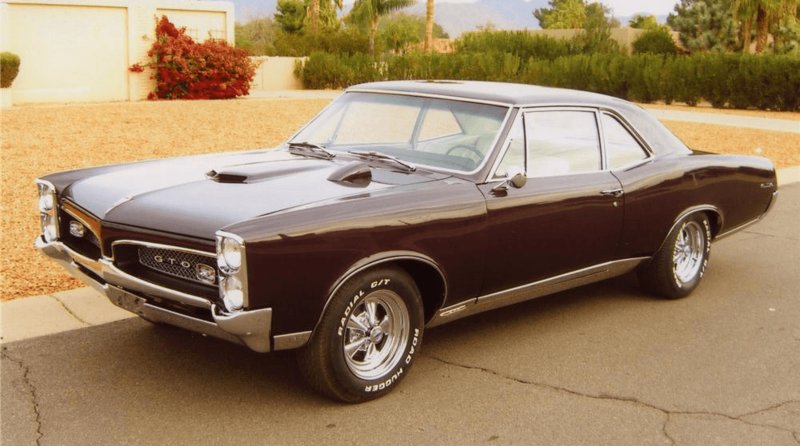 It was noted in a commercial advertising the 1965 GTO where girls were often seen driving the GTO, the announcer stated G-T-O wasn’t meant to mean “Girls Take Over”. 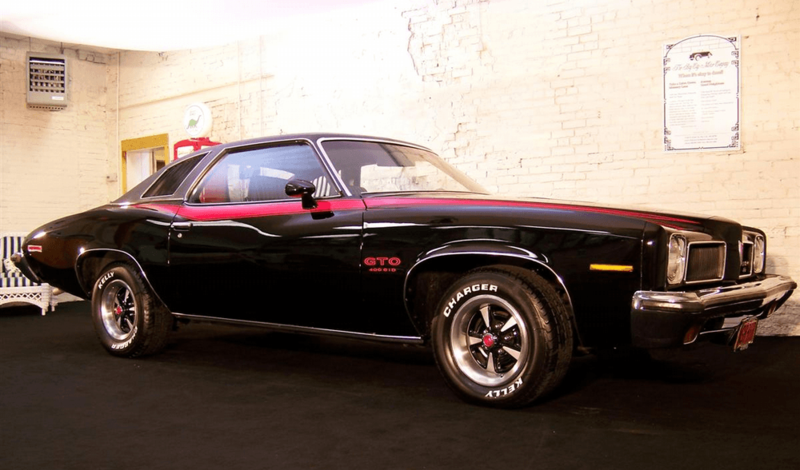 Jokesters of the time also claimed that GTO stood for “Gas, Tires, Oil”, all of which both the Pontiac and the Ferrari used in large quantities. 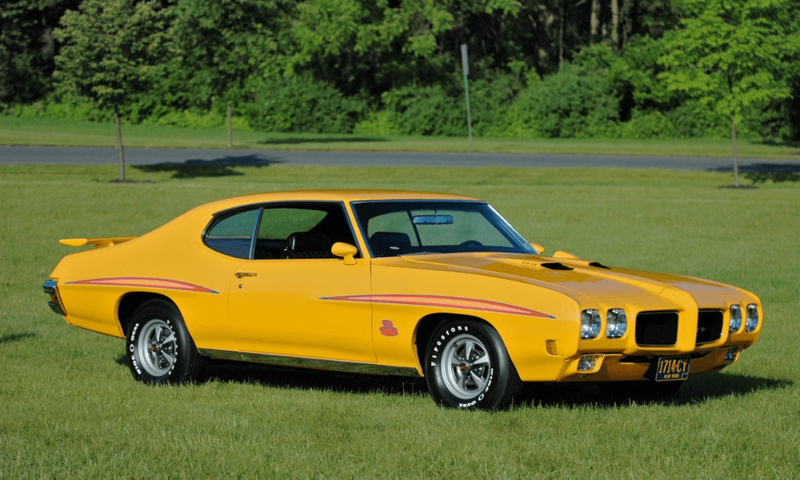 Fans and owners of the Pontiac GTO proudly call their favorite car a “Goat” and label their meetings as a “Gathering of the Goats”. But, as told by Jim Wangers at a seminar at the GTOAA National Convention in 2008, he stated the name GOAT was conceived when the letter “A” was added to the letters G-T-O to form a word from the GTO abbreviation. The advertising gimmick was not well received by the GM brass as they didn’t like the GTO name sake linked to an animal. Be that as it may, the name GOAT stuck. Despite how many versions there are of the way the name GOAT came to be, Jim Wangers version is the official one. Special note: This information was provided by www.gtoforum.com member GTO JUDGE – Super Moderator. This is the most accurate information I could find and I have no reason to doubt that it is true and authentic. In 2004, the Pontiac GTO was relaunched in the U.S. market in the form of a rebadged, third-generation Holden Monaro. The VZ Monaro-based GTO was Pontiac’s first captive import since the 1988–1993 Pontiac LeMans. The V2/VZ Monaro was a 2-door coupe variant of the Australian developed VT/VX Holden Commodore. The Commodore had, in turn, been developed by enlarging the European designed 1994 Opel Omega B, which was marketed in its original form in the U.S. from 1997 to 2001 as the Cadillac Catera. The Monaro was also exported to the United Kingdom as the Vauxhall Monaro and to the Middle East as the Chevrolet Lumina SS. The revival was prompted by former GM North America Chairman Bob Lutz, who had the idea of importing a Holden Commodore-based vehicle after reading a Car and Driver review of the Holden Commodore SS, published circa 2000. Car and Driver praised the performance of the V8 powered, rear-wheel drive Holden Commodore SS, but noted that even though it was one of the best vehicles that GM offered at the time, it could not be purchased in the United States. The idea of importing a rear-wheel drive Holden as a GM North American performance offering gradually transformed into importing the Monaro. Lutz, as well as other GM executives, later drove a Holden Monaro while on a business trip in Australia, which convinced them that importing the car could be a profitable venture. Lutz had to convince GM executive hierarchy to import the car, and overcome a corporate culture that promoted regional autonomy between GM North America and its overseas divisions. This resulted in an “unnecessarily long gestation period,” as Lutz put it, and at a much higher cost than anticipated. The Monaro design was introduced in 2001, but appeared “dated” in 2004 when it was released in the United States. It was also originally planned to sell for about $25,000, but by the time it was launched in the U.S., the Australian dollar’s growth against the U.S. dollar had inflated the price of the car to well over $34,000. Both of these elements played a role in the car’s lukewarm acceptance by the general public. The GTO was assembled by GM’s Holden subsidiary at Elizabeth. It was equipped with the 5.7 liter LS1 V8 engine for the 2004 model year, the same engine found in the concurrent model year Chevrolet Corvette, with a choice of a 6-speed manual transmission or a 4-speed automatic. 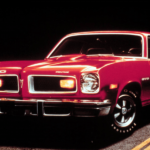 Changes from the Australian built Monaro included bracing additions to the body to meet U.S. crash standards, a “corporate Pontiac” front fascia, new badging, “GTO” stitching on the front seats, and a revised exhaust system. GM Engineers bench marked the sound of the 1964 GTO held in the Pontiac historical collection, as well as other LS1-powered vehicles, while working with the exhaust vendor to tune the system. The effort was made to make the new GTO invoke the same sound as the original while still meeting the noise threshold required by some states. 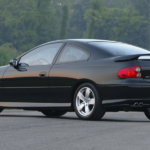 The 2004 GTO exhaust was a true dual system that followed the original Monaro exhaust routing, thus both tailpipes exited on the driver side of the vehicle. General Motors claimed performance of 5.3 seconds to 60 and a 13.8 second quarter mile time, which was closely verified by several magazine tests. Initially in 2004, the car was offered in several colors: Barbados Blue Metallic, Cosmos Purple Metallic, Quicksilver Metallic, Phantom Black Metallic, Impulse Blue Metallic, Torrid Red, and Yellow Jacket. The hood scoops that originally were slated for production in 2005 were pushed into production as part of an over-the-counter Sport Appearance Package. The 2004 Sport Appearance Package also included a taller and more angular rear spoiler, as well as deeper inset grilles. Closing out the 2004 model year was the W40 package featuring an exclusive paint color called Pulse Red, red GTO embroidery on the seats, and a grey colored gauge cluster. 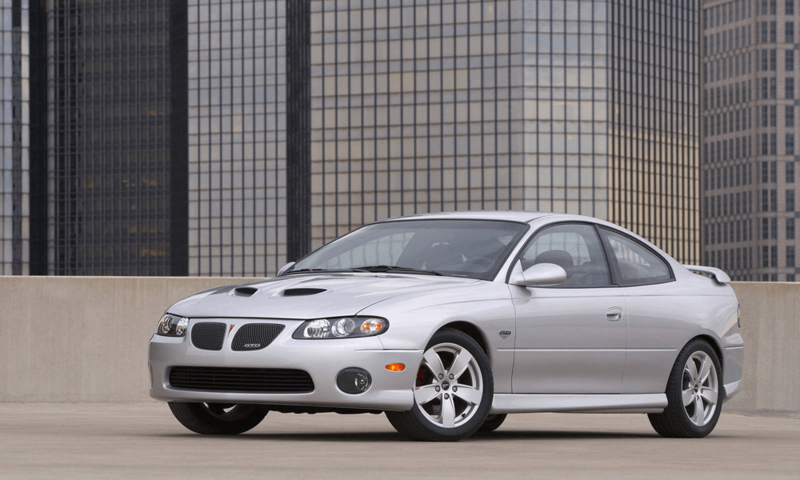 The last 794 of the 2004 model year GTOs were built with the W40 package. The 2005 model year continued with standard hood scoops, split rear exhaust with a revised rear fascia, and late in the year, optional 18 inch (45.7 cm) wheels. The major change for 2005 was the replacement of the LS1 engine with the LS2 engine. This 5,967 cc (364.1 cu in) engine increased power and torque in the GTO to 400 hp (300 kW) with 400 lb·ft (542 N·m) torque. Other changes included larger front rotors and caliper hardware from the Corvette, and the drivetrain was strengthened with the addition of a driveshaft with larger “giubos” and a larger differential flange, as well as revised half-shafts. Dashboard gauge graphics were revised. The optional dealer-installed Sport Appearance Package became available and differed visually by having a different lower rear fascia, aftermarket mufflers with quad chrome exhaust tips, revised spoiler and front lower fascia extension, recessed grilles, and revised rocker panels. This package was available from GM as an accessory in red, silver, black, or primer for other color cars. Production was 11,069 due in part to a shortened model year. Barbados Blue and Cosmos Purple were dropped this year, but Cyclone Grey and Midnight Blue Metallic were added. 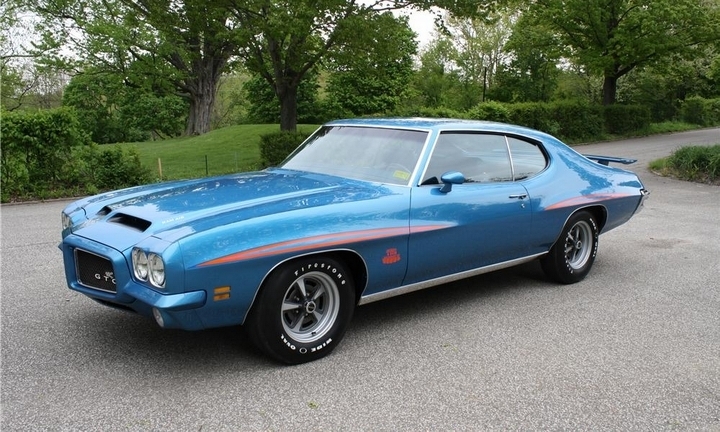 Customers also had the option to order their GTO without hood scoops (RPO code BZJ), though only 24 were produced this way. There was a 17-inch chrome wheel option. Only 17 GTOs had the chrome wheel option because this option was not offered until May 2005 and the 2005 production run ended in June. Another reason was this option was expensive, which resulted in low demand. With this improved powerplant, GM claimed the car capable of 0 to 60 mph (97 km/h) in 4.7 seconds and a 13.0 second quarter mile at 105 mph (169 km/h) (automatic transmission). Car and Driver magazine tested the car at 0–60 mph in 4.8 seconds and the ¼ mile in 13.3 seconds at 107 mph (172 km/h) for the quarter mile with its BFGoodrich g-Force T/A KDWS, 245/45ZR-17 95W M+S front and rear tires but manual transmission. The 0–100 and 0–130 times were 11.7 and 19.6 respectively. For 2006, two additional colors were added, Spice Red Metallic and Brazen Orange Metallic, while Midnight Blue Metallic and Yellow Jacket were dropped. Changes for 2006 included revised blacked-out tail lamps, illuminated steering wheel radio controls, faster moving power seat motors, and an interior power door lock switch. The climate control button for the A/C also had the word “Defog” added to it for the 2006 model year. 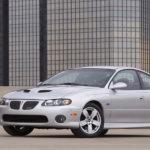 Along with the 2005 model, the 2006 GTO was equipped with the 400 hp (300 kW), 6.0 L engine.On February 21, 2006, Buick-Pontiac-GMC General Manager John Larson announced to dealers that GM would halt imports of the GTO in September, making 2006 the last model year for the new GTO. 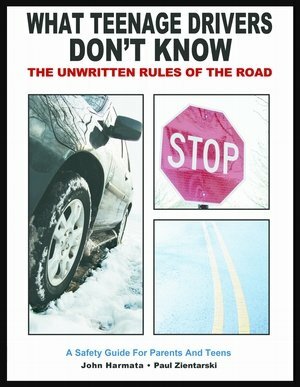 The explanation was the inability to meet new airbag deployment standards for 2007. 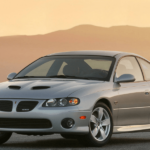 The final production numbers of the 2006 Pontiac GTO are 13,948 cars, an increase from 11,069 from the previous model year. 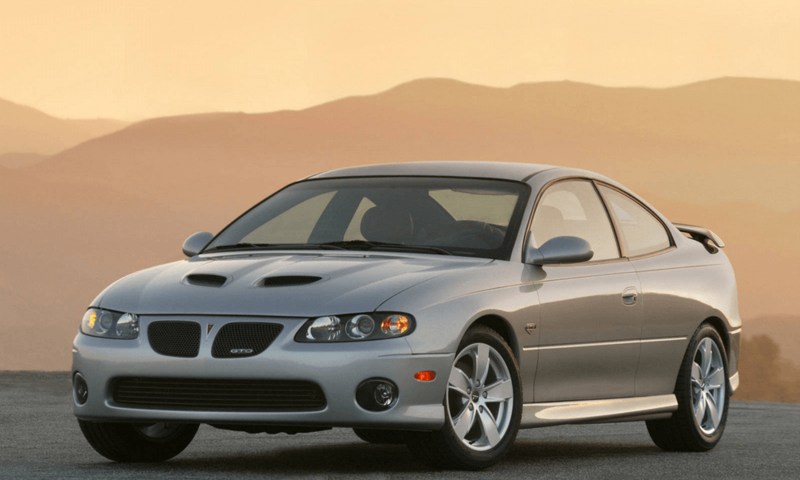 The last Pontiac GTO, which was also the very last Monaro-based coupe produced, came off the assembly line in Australia on June 14, 2006. Total production for all three years was 40,808 vehicles. 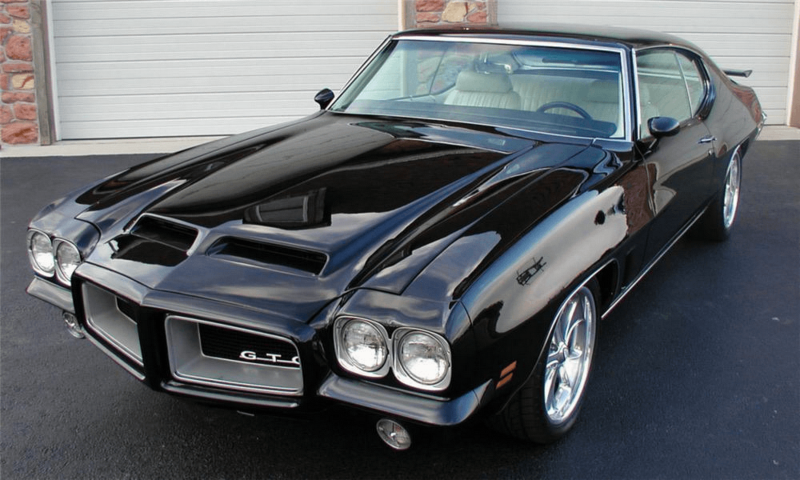 This generation GTO was only intended as a limited production run for those 3 years from the beginning of the program. 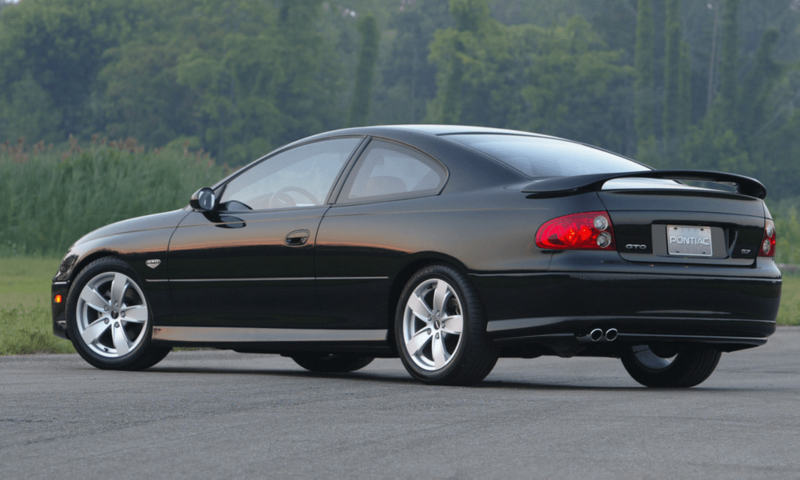 Unfortunately, the 2006 Pontiac GTO would be the last muscle car Pontiac would ever produce. The Pontiac Firebird/Trans Am production ended in 2002 and the only Pontiac cars produced after 2006 were the Solstice, Vibe, G6 and G8. none of which were considered “sports cars”. The last Pontiac, a 2010 model year G6, was built at the Orion Township Assembly Line in January, 2010. In early-2009, amid financial problems and restructuring efforts, GM announced it would discontinue manufacturing and marketing vehicles under the Pontiac brand by the end of 2010 and focus on four core brands in North America: Chevrolet, Buick, Cadillac, and GMC. The last Pontiac badged cars were built in December 2009. Franchise agreements for Pontiac dealers expired October 31, 2010. This is from my own research. From what I understand, back in the day people would actually switch the G-T-O letters around to form G-O-T. The street name became “Goat”, since GTO owners demanded some sort of nick name for their vehicles. Just like a gathering of Ford Mustangs, you now had the gathering of the “Goats”. And everyone knows goats eat up everything in sight. GTO owners rolled with it, embraced the new nick name and the GTO has been called a “Goat” ever since.